I’m back with another muddy buddies recipe! They seem to be popular- both online and in my household (not to mention at my husband’s workplace…they eat all our extra sweets and seem very happy about the situation…haha). This is a perfect for those looking for a muddy buddies recipe without peanut butter. 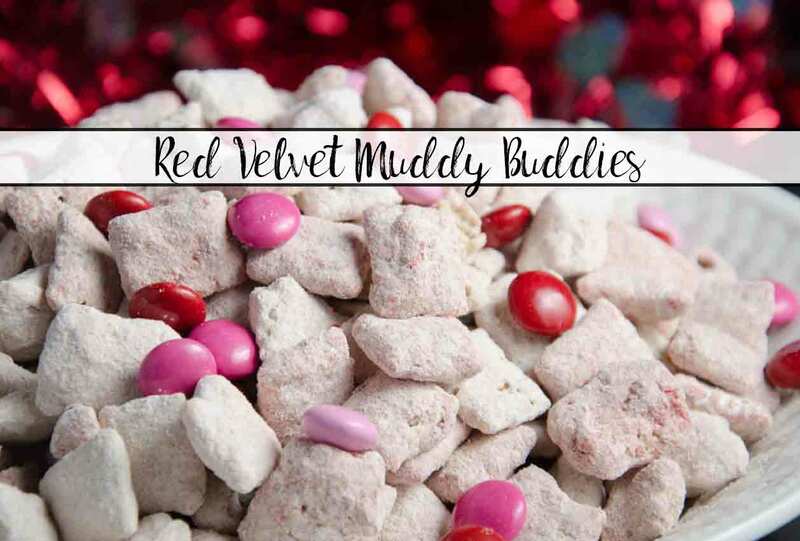 Red Velvet Muddy Buddies (also known as Red Velvet Puppy Chow) is easy to make. It’s delicious. The taste of these is different from traditional muddy buddies. So give it a chance! 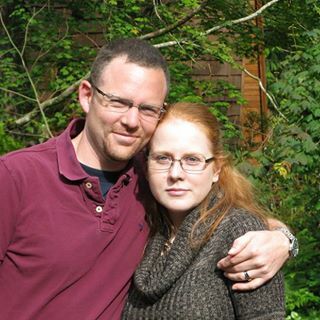 And while it’s good year-round, it’s especially wonderful for Valentine’s Day. You can divide it up into little cellophane bags and hand out for the “love holiday”. If you want, attach a Valentine’s Day gift tag (I have Free Printable Valentine’s Day Tags). 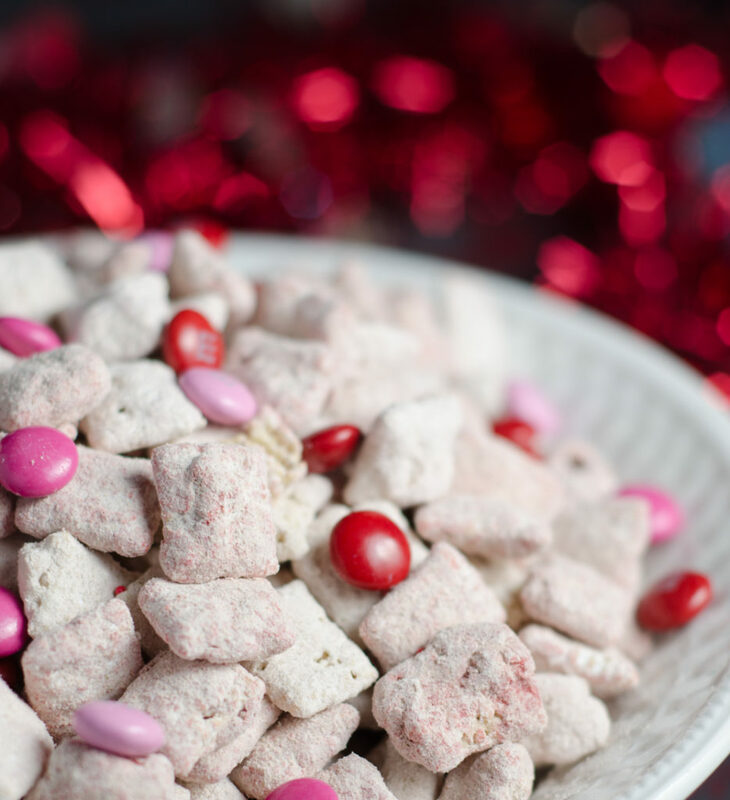 If you’re a fan of muddy buddies, I suggest you check out the page dedicated entirely to Puppy Chow & Barks. And if you’re a fan of red velvet, try out the Valentine’s Day & Red Velvet page! Mise en place. Make sure cream cheese has sat at room temperature at least 20 minutes. Pour 4 cups of Rice Chex into a medium bowl. In a large Ziploc bag, mix 1/3 C. of powdered sugar and 1/3 C. of dry red velvet cake mix. In a small bowl, heat 1 C. white candy melts for 30 seconds at 50% power in microwave. Stir (even if nothing is melted). Continue heating at 15 second intervals at 50% power, being careful not to overheat. After chocolate is melted and smooth, stir in 1 oz. of cream cheese. Mixture will become extremely thick...just continue mixing until well blended. Using hands, work chocolate mixture through 4 cups of Rice Chex. Add coated cereal to Ziploc bag that has mixed powdered sugar and cake mix. Toss, breaking up any large chunks until everything is well-coated. Spread out on a cookie sheet to dry. Repeat steps 2-4 with both pink candy melts and red candy melts. After everything is dry, shake out any excess powdered sugar. Mix three colors and toss with M&M's. Serve. **Store in fridge if not eaten immediately. Due to cream cheese, this cannot be stored at room temperature for a long period of time.